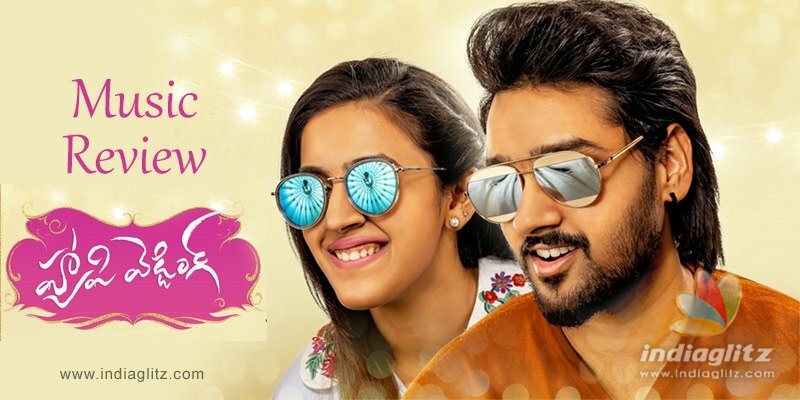 Music director Shakthi Kanth Karthick's music for 'Happy Wedding' is out on Mango Music. Written by Shree Mani and Sirivennela Seetharama Sastry (who writes one song), its songs have been crooned by Dhanunjay, Dinkar, Hemachandra, Sravana Bhargavi and Sindhuri Vishal. In terms of the notes, they seem to have been designed to deliver a mixed feel. It could be a tragedy song, it could be otherwise. Dhanunjay's voice has the depth to breathe freshness into Shakthi Kanth Karthick's music. Shree Mani's lyrics come laced with situational and story-based lyrics. At the conceptual level, the song is fitting for a film titled 'Happy Wedding'. The boy goes about trying to convince the reluctant girl to marry him. Conceived as a festival-type song, the number comes with decent lyrics by Srimani. It's as if the duet is meant to be witnessed by the entire family. Dinkar's voice is apt for Sumanth Ashwin, who looks youngish. Music director Shakthi Kanth Karthick deploys the 'raga' of an iconic song as an interlude. Rajesh Vaidya's Veena and Bala's Nadaswaram bring in the necessary zing. Rhythm is by Shruti Raj. 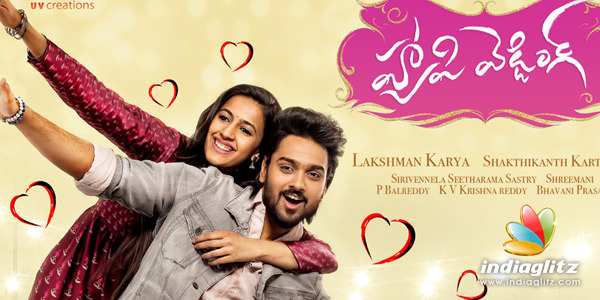 Seetharama Sastry's lyrics capture the heroine's character in poetic lines. The lines also touch upon the story and portray the film as an essentially character-driven story. Hemachandra is a complete treat, while Sravana Bhargavi's soft vocals betray a tinge of innocence. The music has a touch of old-worldly charm, which is most welcome in the song's context. The song is conceived to evoke a sense of the classical. The music director draws on a couple of known notes to deliver a soothing, profound number. Sindhuri Vishal's voice sounds very fresh and for a bubbly youngster like Niharika, it should be very apt. Shree Mani's lyrics prove once again what a knowledgeable songwriter the youngster is. His work has a scholarly quality here. The album is one of the very good ones to have come out this year in Telugu. With the exception of 'Dheemthana', the other songs are enjoyable.